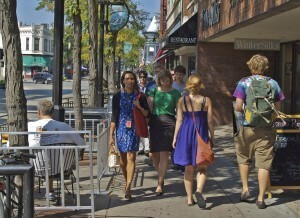 You can’t make a trip to Madison without exploring State Street, where more than 250 shops, restaurants and nightclubs keep you entertained, almost as much as the street musicians do. But don’t miss Monroe Street, either, which is quieter, yet still offers plenty of places to eat, drink and shop. Plus you can get up close to the Badgers’ Camp Randall Stadium, the oldest stadium in the Big Ten Conference. 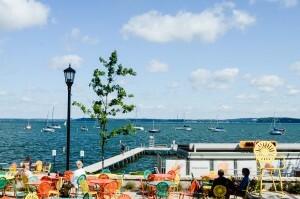 The yellow, orange and green sunburst chairs—which you can also buy online—are about as popular as the gorgeous views of Lake Mendota. Pick a good spot and people-watch for hours while enjoying tasty Wisconsin beer during the spring, summer and fall. Where else can you find 1,200 acres of a natural environment within a major city? Nearly 20 miles of trails lead you through prairies, savannas, woodlands and wetlands, where you might encounter turtles, turkeys and other wild critters. Labels on plants tell you what you’re looking at. 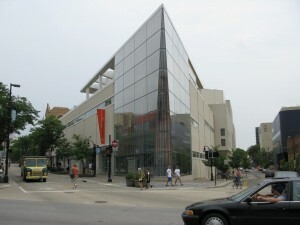 The MMoCA, formerly known as the Madison Art Center, features a permanent collection of about 5,000 items, including works by some of the most significant American artists. Its striking three-story glass façade reveals the staircase, which takes you to four gallery spaces. Admission is free. 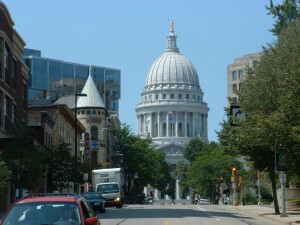 As the producer of signature dairy products for the University of Wisconsin-Madison and the surrounding area, university students also lead guided presentations. From the second-story observation deck, they’ll give you the scoop (ahem) on the ice cream- and cheese-making process. Observations are free and you can enjoy a dish of ice cream for $2. Some of the milk is sourced from the on-campus dairy herd. Designated a National Historic Landmark, the capitol’s gorgeous granite dome is the only one in the United States and the largest in the world. A lavish mural decorates the inside. Study the floors and pillars and find naturally occurring fossils, such as starfish and coral. 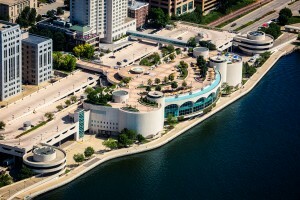 During the summer, head up to the museum and observation deck on the sixth floor and take in the expansive city views. Free tours are offered daily, except on some holidays. 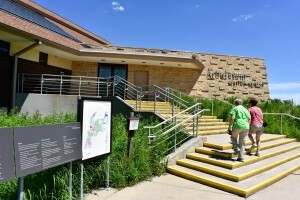 Home to the second-largest collection of art in Wisconsin, the museum’s 20,000 works include paintings, sculpture, drawings, prints, photographs and decorative arts. While it’s first and foremost an educational resource for the students and faculty of the university, the public is more than welcome. In fact, guided tours are available and admission is free. Stick around for poetry readings and music too. Fans of Wisconsin native and architect Frank Lloyd Wright don’t miss a chance to visit Monona Terrace. First designed in 1938 as a cultural, governmental and recreational building, 60 years of debate followed before voters approved referenda in 1992 to construct it—on the same site Wright had originally proposed—as a community and convention center. Not only does the facility serve as a nationally known meeting space, but the center also brings the local residents together through events all year long. 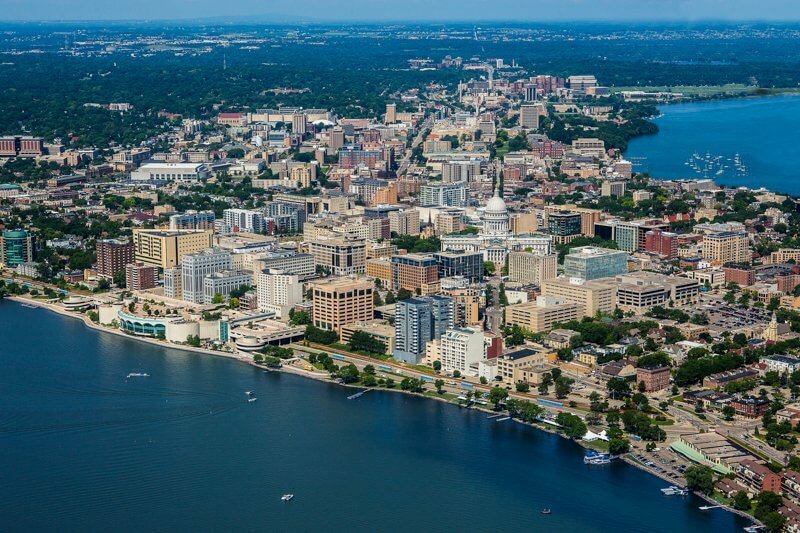 Take the public tour, and if the weather’s cooperative, explore the rooftop gardens that look out over Lake Monona, the downtown skyline and the State Capitol dome.